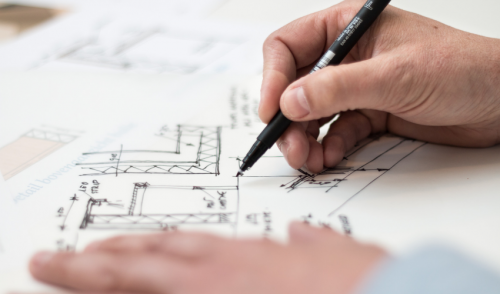 Design/build firms must also be able to navigate through the work that happens between the design and build phases. "Design/Build" is a business model many remodelers have adopted. For a client, the convenience of dealing with one firm for designing and building their project is wonderful. It eliminates the awkward conversations between two providers about who is responsible for what. However, design/build does not capture the troublesome gap between the two terms. What exactly is the work that gets done to make it possible to have the design get built? The question is more relevant these days as there are more and more issues that have to be addressed. That is why the phrase that Stan Action of Action ADU in Campbell, Calif., uses struck me as poignant for what all design/build firms actually do: Design, Navigate, Build. "Navigate" refers to all the work that must happen between the design and the build. What does that include? Dealing with all the regulatory agency's processes and timelines. I remember having to post notifications in a 300-foot radius of a project about what we had designed so that neighbors could weigh whether or not the project was acceptable. The project had to be designed before that process could happen. We had to be prepared for the design to be rejected and the impact that would have on our relationship with our client and on our overall build schedule. Ensuring that all the needed fittings and finishes specified in the design actually exist, are available at the prices quoted, and will arrive in a reasonable amount of time. Sometimes that meant making some substitutions after everything had been decide. A frustrating process for everyone. Being able to nail down a firm start date for the build. The reality is that many clients sense of what they want done changes as time passes. This can create change orders late in the game. We did a mater bedroom suite addition for wonderful clients. Just before we were to pour the foundation, they decided they wanted a small sunroom included as part of the project. We managed to get the sunroom designed, specified, and permitted in under two weeks. Doing this meant we had to adjust the start dates of the other projects our lead carpenter was to manage. These are just a few examples of the challenges that come with many projects. I think Stan is right about the ability to navigate being essential to the success of running a design/build firm. Your responsibility is to help your client understand all the uncertainty that makes working with a firm that can navigate and has learned lessons about what is hard to anticipate ideal. When selling your firm's services, take your potential clients on a journey into the rough wages that happen between the design and build phases. Then share with them how you will reduce the likelihood that your process will make them seasick, because it includes navigation.